Swedish Style, Bathroom Lamp Tapper. Special stamped rings. Prisms. Interiors: bathroom, spa area, hallway. Swedish lighting tradition is an important part of world's heritage. 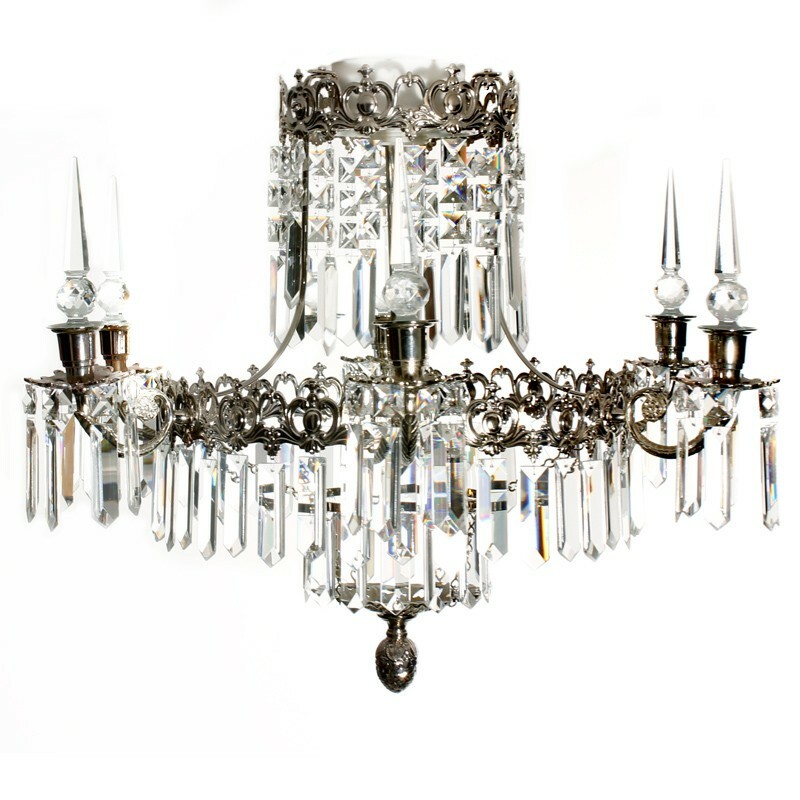 This chandelier brings the Scandinavian atmosphere in the air with the touch of royal charm. 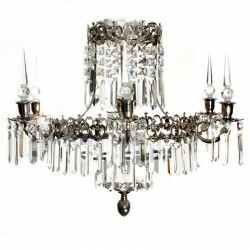 Very well crafted brass frame goes very well together with the high quality hand cut crystal prisms and spike. Last but not least: it is humidity resistant and can easily be mounted in a bathroom or spa area. Can you imagine what impression it can make there? Swedish Style, Bathroom Lamp Tapper. Special stamped rings. Prisms. Spikes on arms.